Apparently I turned a corner in moviewatching in May, finally having a solid streak of films I really liked to loved. I think there were a few months earlier this year that I struggled to come up with any films that a solidly loved. Obviously not last month with the TCM Fest going on, but that’s a special occasion. This month I saw and loved four very distinctly different films, which is exactly the kind of month I like to have. Not a lot of volume in May (thanks to my newly developed Minecraft addiction – seriously, if you get addicted easily, do NOT buy that game), but a whole lot of quality. 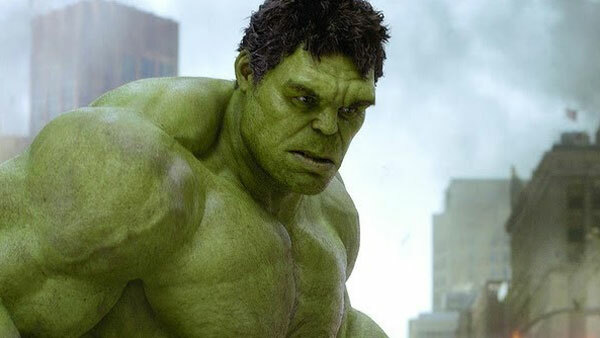 I actually wrote a sort-of review for The Avengers already, so I won’t go on about it here, except just to say that we went back to see it again the next week (we NEVER do that – I can count the number of films I’ve seen multiple times in theatres on two hands) and I still enjoyed it just as much. I expected the beginning set-up section at S.H.I.E.L.D. to drag a lot more the second time, but I was pleasantly surprised. 2012 USA. Director: Joss Whedon. Starring: Robert Downey Jr, Chris Evans, Mark Ruffalo, Chris Hemsworth, Scarlett Johansson, Jeremy Renner, Tom Hiddleston, Samuel L. Jackson, Gregg Clark, Cobie Smulders. Seen May 5 and May 12 at Arclight Sherman Oaks. Over a blank screen we’re told the famous tale of Nietzsche seeing a horse being beaten in the streets of Turin, running to the horse, and throwing his arms around its neck, weeping – the beginning of a mental breakdown from which he never fully recovered. 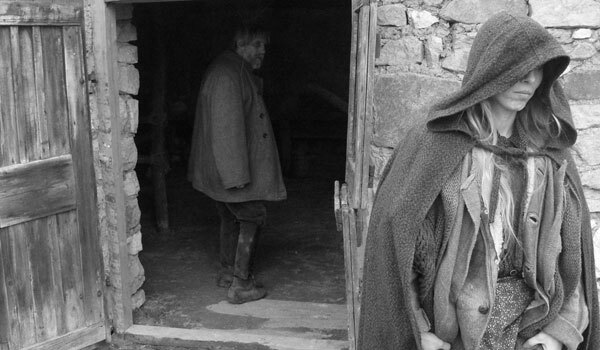 But what of the horse, asks Béla Tarr, and of its owners? Instead of the heady philosophy or dramatic psychosis you’d expect from a story that begins with Nietzsche, Tarr gives us a mundane, human, and deeply moving glimpse into a very difficult and despairing existence. The man and his daughter depend on the horse for their lives, such as they are – and we see them throughout a week as the horse, stubborn because of illness, gets weaker and weaker and their own hold on existence gets more and more tenuous. You don’t (or shouldn’t) sit down to a Tarr film without knowing what you’re getting into, and this one is nearly two and a half hours long of basically watching these two people do mundane chores over and over in very long takes. When things are so much the same, the differences become enormous, and Tarr maximizes that by varying camera placements, or by using slight changes in demeanor or action to telegraph the changing states of mind and being of these extremely taciturn people. Settling into the film’s rhythm yields an experience that makes mundanity into something transcendent, and by the end, seeing these two simply sitting at their roughhewn table was enough to bring me to the brink of tears. Tarr has said this will be his final film, and if that’s true, it’s a pretty masterful work to go out on. 2011 Hungary. Director: Béla Tarr, Ágnes Hranitzky. Starring: János Derzsi, Erika Bók, Mihály Kormos. Seen May 2 at Cinefamily. To some degree, you know what you’re going to get when you head into a Wes Anderson movie, so carefully has he refined his style, putting out one of the most self-consciously auteurist bodies of work of any director working today. This one is almost a spot-on distillation of the concept of a Wes Anderson film, and yet rather than devolve into parody, he’s created one of his best films yet. Here a boy scout and a young girl (who looks like a Margot Tenenbaum in the making) escape from her dysfunctional family, providing a young love of such innocence that it seems to provide a way out from Anderson’s typically ironic family drama, here played out by the world-weary and yet strangely childish adults. The film is so charming it’s easy to call it overly slight, but there’s more going on here than immediately meets the eye, and it has surprised me by never straying far from my mind since I saw it. 2012 USA. Director: Wes Anderson. Starring: Edward Norton, Bruce Willis, Bill Murray, Frances McDormand, Jason Schwartzman, Harvey Keitel. Seen May 26 at Arclight Hollywood. Silent-to-sound era transition films are almost innately awkward, as studios rushed to try to sound-ify any silent films currently in production, creating hybrids that sit comfortably as neither silents or talkies. The Love Trap is one such film, and I won’t deny it has its fair share of awkwardness when the film, completely silent for roughly the first two thirds, turns completely talkie and it takes a little while to settle into the new mode. Yet I also can’t deny that I loved this film far more than it probably deserves. Laura LaPlante (who after seeing just this and The Cat and the Canary is my new silent girlcrush) is a showgirl who’s bad at it and gets fired, her only recourse to try to get “powder room money” from rich men. When one gets a little too fresh, she runs out horrified and disgraced, only to find she’s been evicted. A man in a taxi rescues her and her furniture from the sidewalk, and after a quick romance they’re married – but what will his wealthy family think of his showgirl wife? It’s pretty typical of the time, but done with such charm and spontaneity that I thoroughly enjoyed almost every second of it – I say almost because there is a brief part in the taxi that bothered me, as the man begins behaving almost exactly like the cad back at the party, but somehow it’s different because we just “know” he’s the good guy. Double standard much? And the transition to sound is awkward, with poor LaPlante struggling a bit at first, but somehow by the end, she’s just as charming as she was in silent mode. 1929 USA. Director: William Wyler. Starring: Laura LaPlante, Neil Hamilton. Seen May 9 at Cinefamily.